This Concentrated leave-in smoothing cream is excellent for all hair types including colored and chemically treated hair. 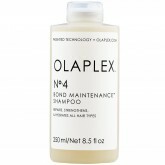 NO.6 strengthens, hydrates, moisturizes and speeds up blow dry times while smoothing. 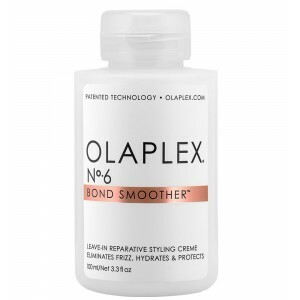 OLAPLEX’s Bond Smoother eliminates frizz and flyaways for up to 72 hours. Made without sulfates, phthalates, parabens, or gluten. vegan. color safe. 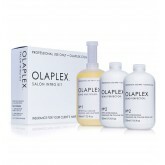 Patented Technology: Proven technology that repairs and strengthens all hair types.